Northern Indiana Bluegrass Association publishes, at no charge, Bluegrass events in the upper Midwest. We invite you to send us your event information for inclusion in our monthly newsletter. The event will also be listed here on our web site. Complete the form below to have your event published. 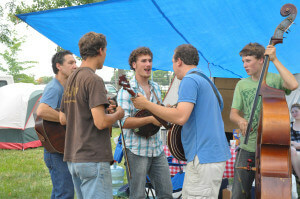 Northern Indiana Bluegrass is unique among clubs and websites in that we list bluegrass events from many locations. We encourage you or your organization to submit information to us for publication. We will also mail flyers about your event to our members for $25. We will include your flyer in our searchable database. Even if you are not in the Midwest, send your flyer for inclusion in our database. For upper Midwest Bluegrass events, please our form below.